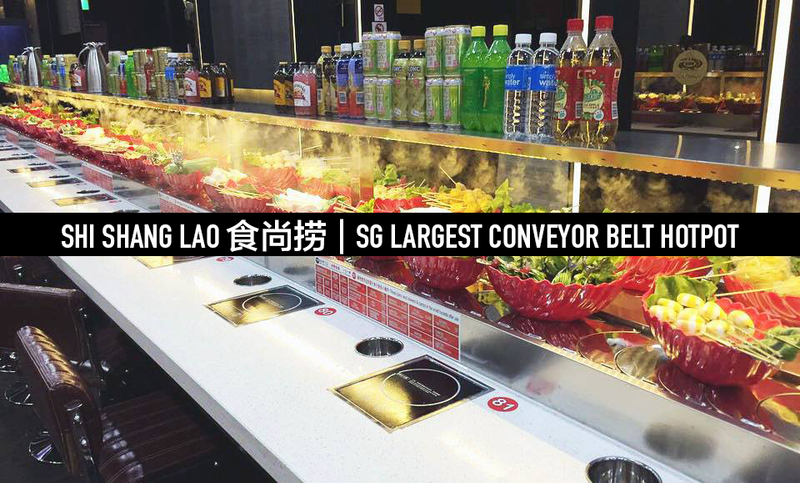 Shi Shang Lao 食尚捞 is Singapore’s LARGEST kind conveyor belt concept hotpot! 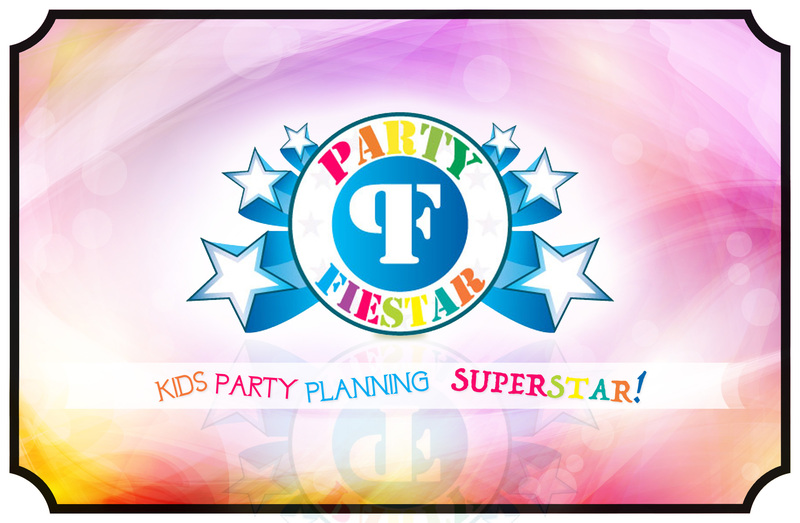 The restaurant has a total seating capacity of 110 diners. You will be spoilt for choices of 10 different kinds of soup base, over 100 types of Skewers/Food and more than 20 different drinks! 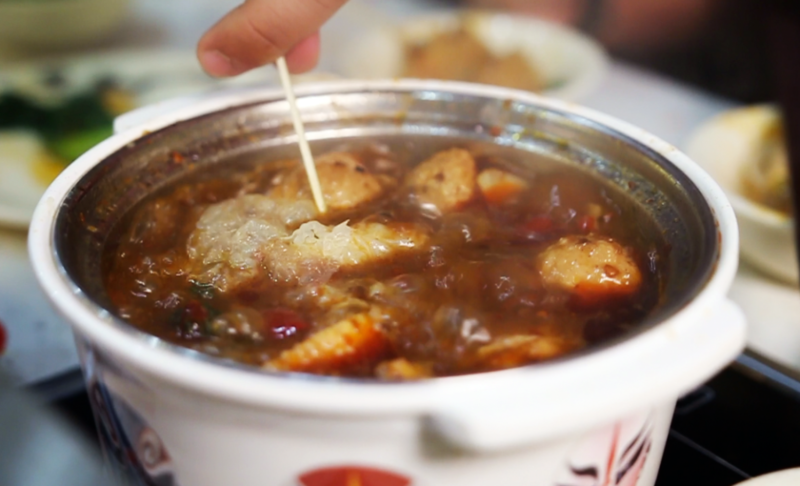 You get the ingredients/skewers directly from a conveyor belt, and then they will go right into your hotpot soup. 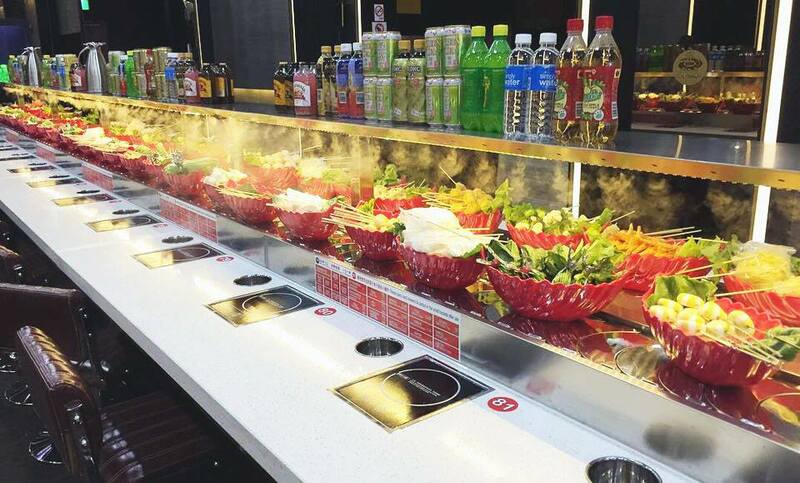 In the restaurant, you can choose to sit at the tables or counter seats, which both have their own conveyor belt at the sides. Once you’ve settled down, the staff will ask for your preferred soup choice. Everyone gets their own individual pot of soup, so you don’t have to share the soup with your friends if you didn’t like their choice. 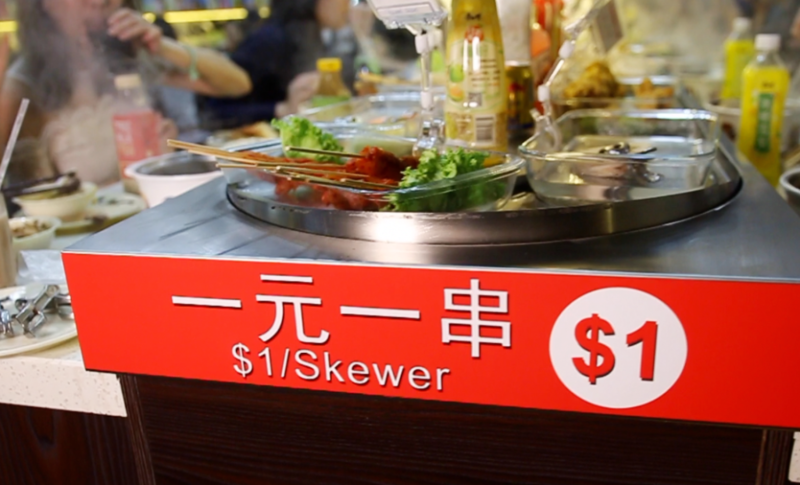 The skewers are affordably priced at $1 per stick. Premium sticks (flat tip) goes at $3. 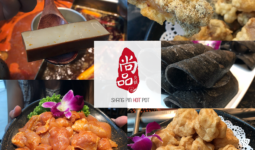 The 10 types of soup include Mala Pot, Fragrance Pot, Herbal Pot, Triple Taste Pot, Spicy Pot, Tomato Pot, Herbal Duck Pot, Mushroom Pot, Sour Vege Fish Pot and Mushroom and Black Chicken Pot. 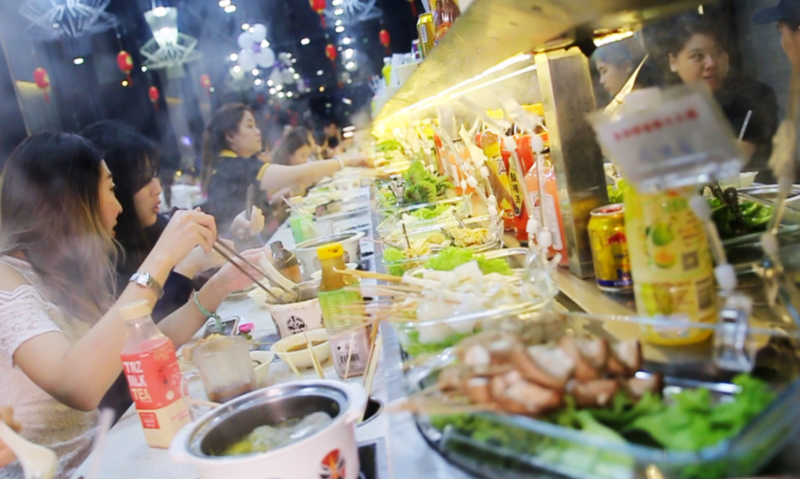 There were a lot more ingredients that we were not able to try because of the wide variety of choices here. 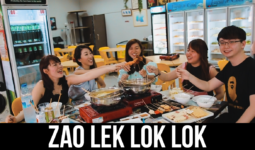 The average spending per pax would be approx $20 to $25, which is pretty much affordable for a good supper meal. And YES they are opened Daily til 5am! 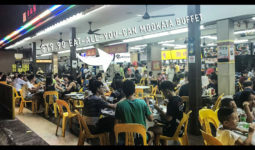 Mookata + Cheese + Steamboat + Buffet @ Ladyboy Moo Ka Cheese!